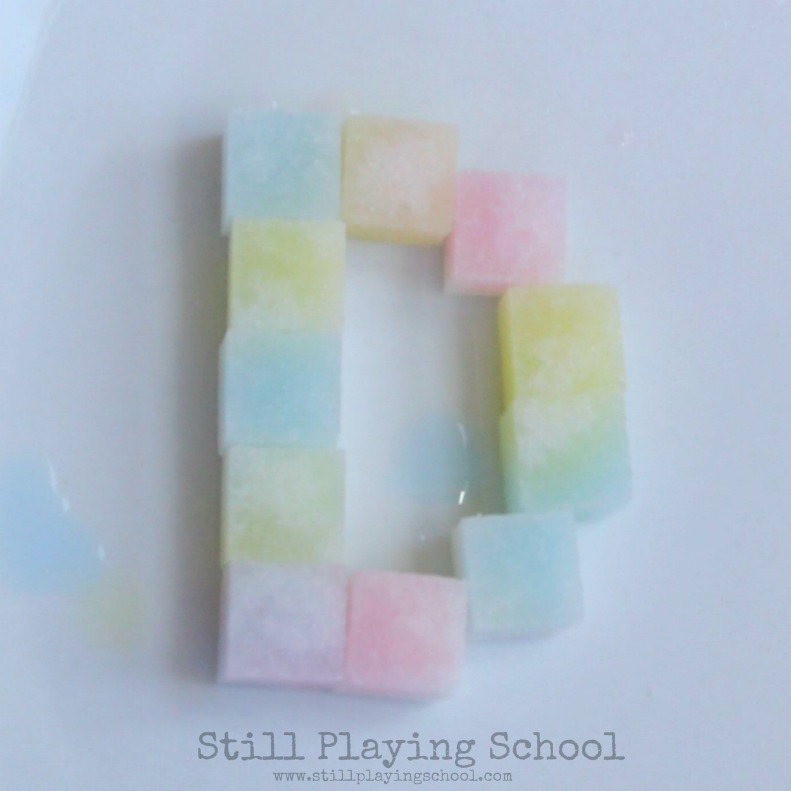 One of our favorite activities of all time was painting sugar cubes. We decided to revisit this fine motor invitation while adding literacy as we form and paint letters! 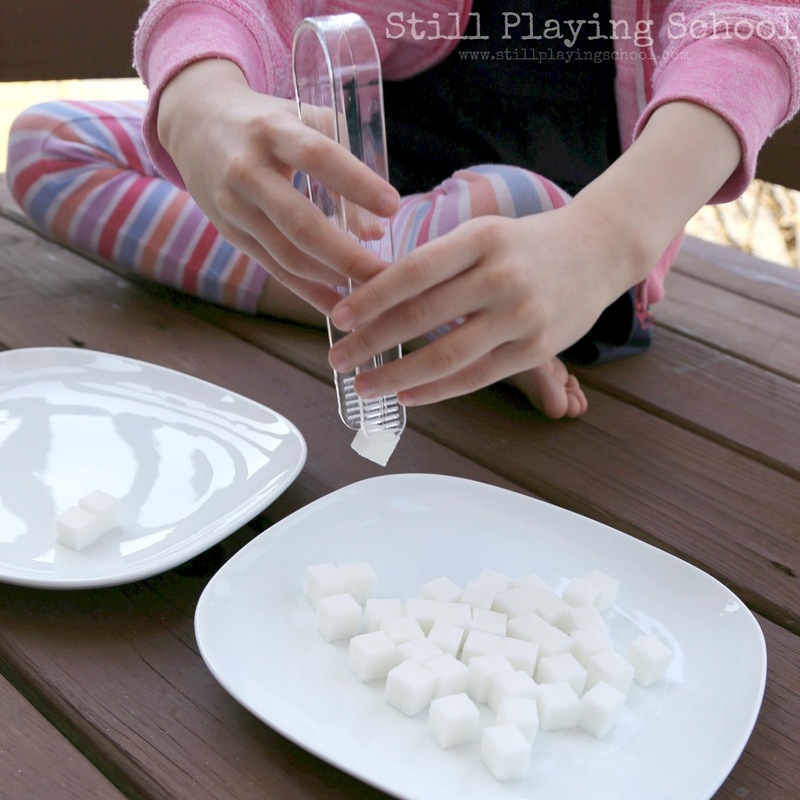 Tongs are one of our favorite fine motor tools! 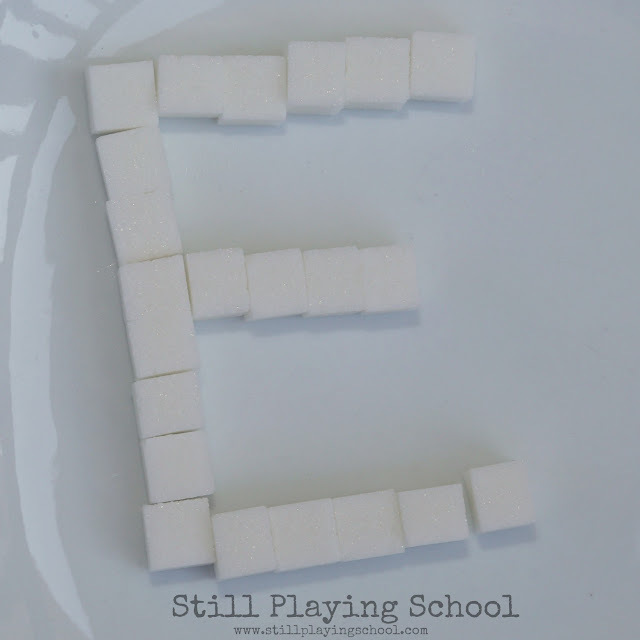 I challenged our daughter to transfer the sugar cubes from one plate to the other with the tongs as she formed letters. She made the letter E as it is her first initial. As she was building the letter, we talked about how we form it when we write. 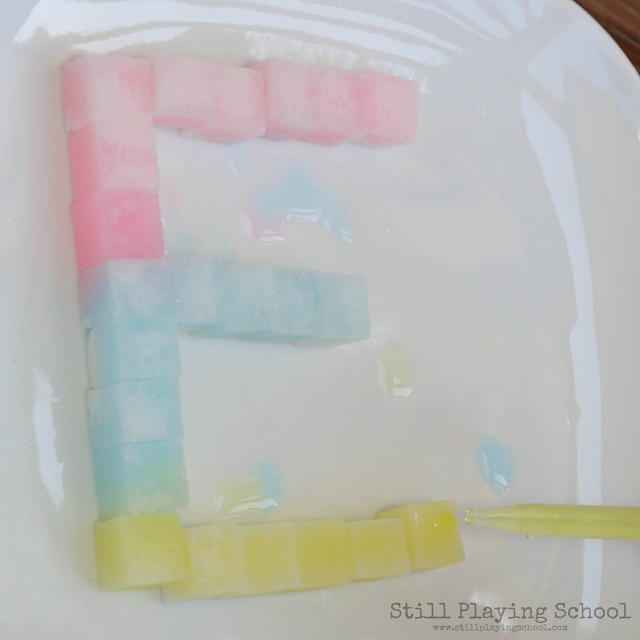 Each child can make their first initial or any letter, number, or shape they'd like! Next, she painted her sugar letter. We used eye droppers (another fine motor favorite of ours) in water with a few drops of liquid watercolors. 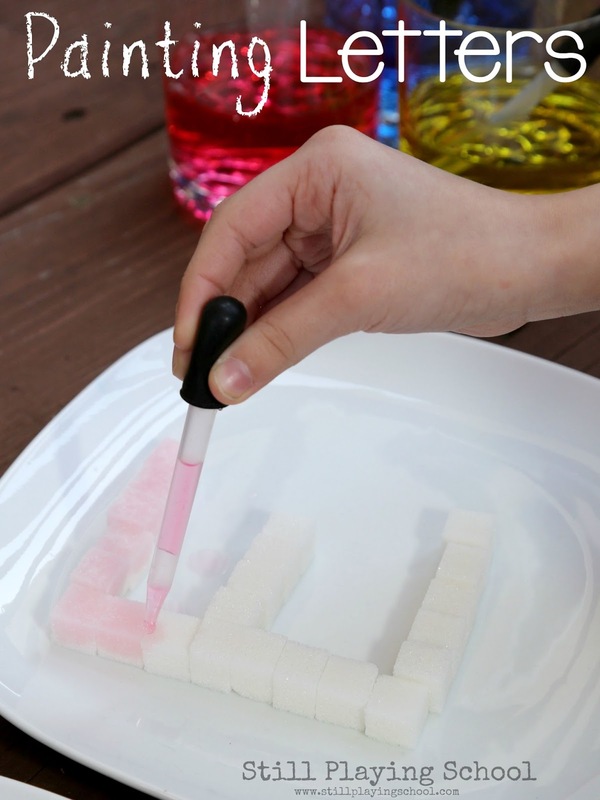 You could also use food coloring diluted in water. The sugar will eventually melt from the liquid but we had plenty of time to mix the colors before that happened. It is mesmerizing to watch the colors soak into the cubes.